Have you ever shared a handshake with someone whose palm felt like the back of tree? – dry, coarse and thick? Besides occupational hazards associated with jobs where hands are exposed to harsh working environment, I believe that everyone’s palms could be soft to feel if we tried these very simple routines. As earlier mentioned, certain jobs that involve hard labour tend to toughen one’s palms. Harsh chemicals in soaps, cleaning agents and cosmetics also make palms tough and coarse. Harsh weather like extreme cold dries up the skin as well. There are many hand lotions promising to soften one’s palms and hands in general and while others live up to expectation, some do not. The most reliable ingredients from nature that can guarantee softer palms and even feet are Shea butter, cocoa butter and olive oil. 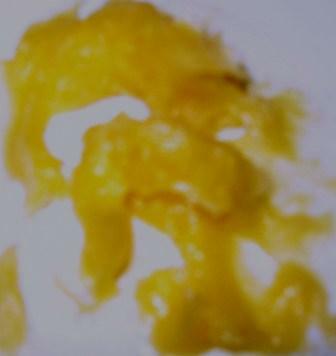 I usually melt both Shea butter and cocoa butter into oils and then whip them together into cream. The beautiful thing about Shea butter, cocoa butter and olive oil is that they make great moisturizers as such retain water in the body for longer. Just as the trio gives hair length, volume and shine, they also give the hands, feet and nails much needed moisture and lubrication to be soft, tender and shiny. 1. Ditch all antiseptic, ante bacteria and disinfectant bath soaps; as well as soaps containing alcohol. They do dehydrate the skin and cause your nails to brittle. 2. Wear hand gloves when washing dishes or using cleaning agents as they contain disinfectants and bleach. 3. Avoid alcohol based skincare or cosmetic products. 4. Wash your hands and feet with moisturizing soaps or organic soaps that contain no harsh chemicals. 5. Make your own hand and feet cream by melting either or a combination of two of Shea butter, cocoa butter or olive oil in a crock pot. If you have no crock pot, pour water into a pan, place it over heat and place a bowl containing the oils in the water. Heat the oil until hot, bring down from heat and allow to cool. With a hand cake mix, whisk the oil to allow to cool faster. You can leave it to cool until it’s room temperature. Once it begins to turn to butter, whisk until it feels like ice cream then it’s ready to use. 6. Each morning, apply your homemade foot and hand cream on your hands and feet, massaging gently to allow blood circulation. By night time, apply again. 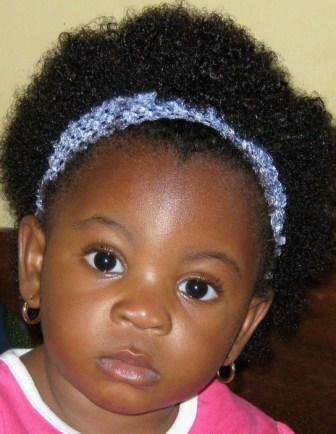 Wear cotton hand mittens and sock on your hands and feet for an hour before bed time to help retain moisture. If in winter, wear them over night. This will help your hands and feet to be moisturized, which will soften your hands and feet but strengthen your nails. 7. 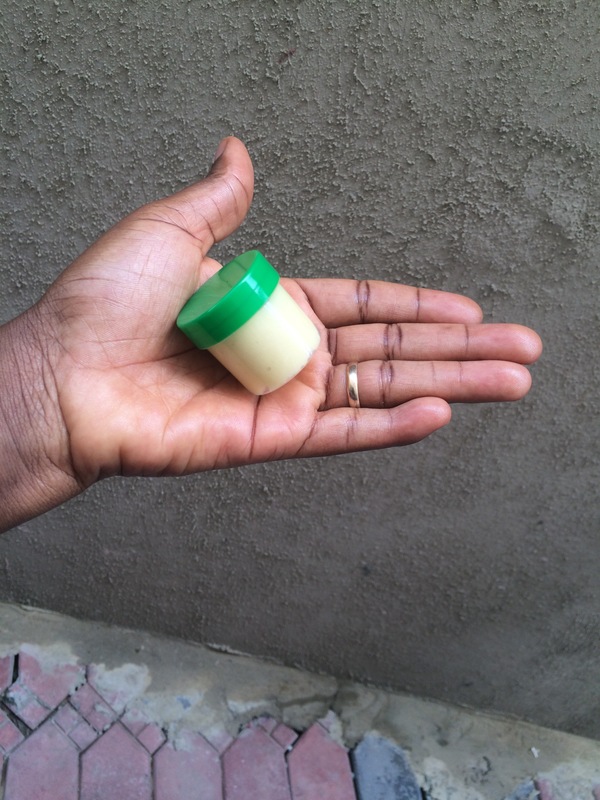 Keep a spare homemade hand and foot cream in your bag to use any time you wash your hands. Try these simple tips and you would love shaking people’s hands and showing off your feet and nails. 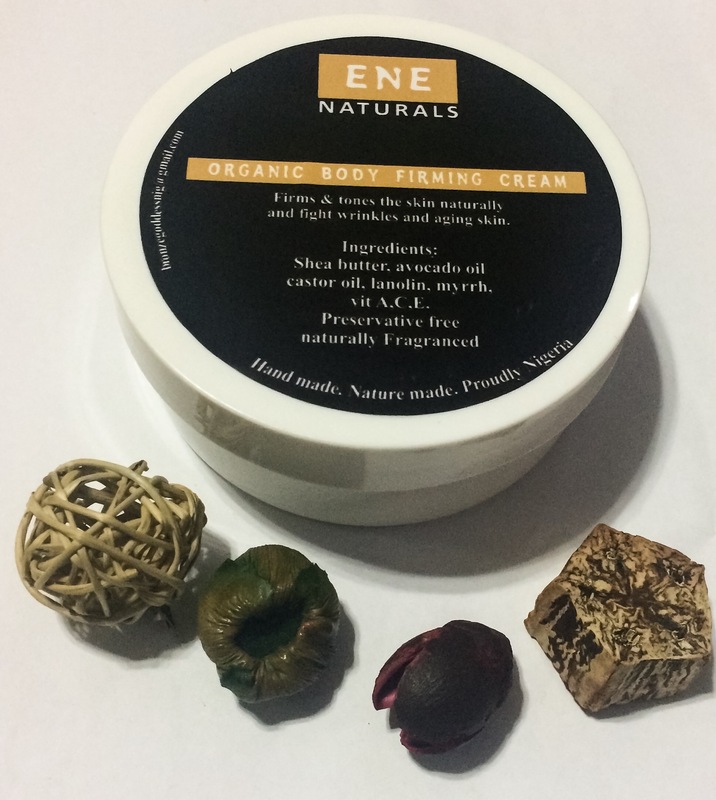 Natural skin lightening cream for the face and body by Nigerian organic skincare brand, ENE Naturals. 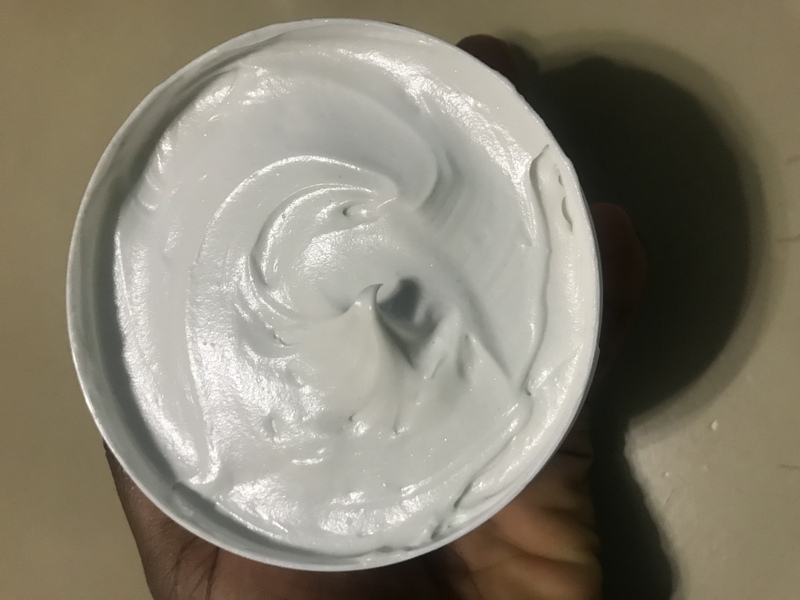 This soft, creamy body cream contains almond oil, coconut oil, water, orange extract, 2% kojic acid, Rosemary oil, glycerin, vitamin E and lavender oil. This product is 100 hundred chemical free. 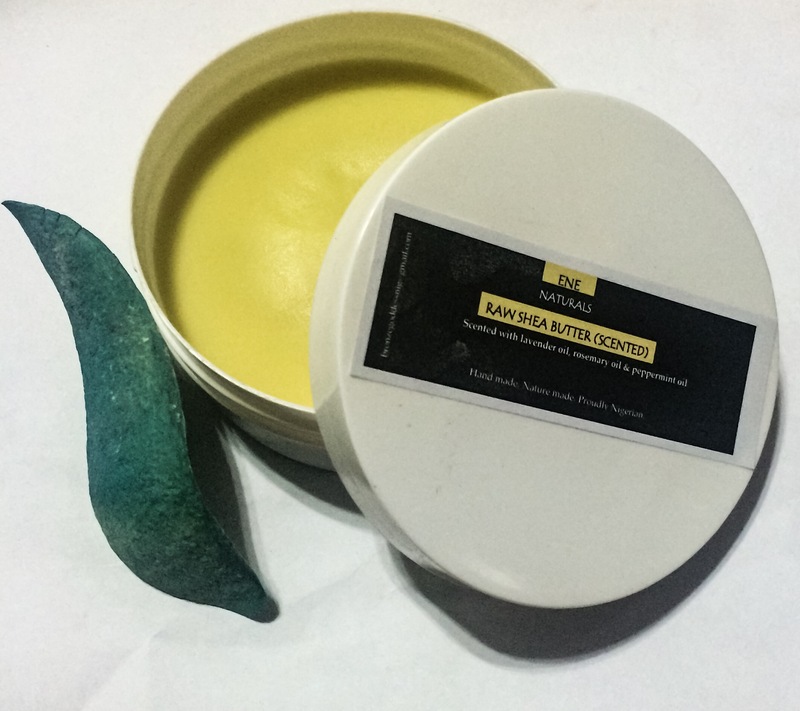 This is not a bleaching cream but a skin brightening and lightening cream that makes use of both orange extract and only 2% kojic acid to gradually exfoliate your skin while giving you a natural radiance. Your skin will be lighter and the combo of orange extract and kojic acid will fade out dark spots as well. This product is suitable for all skin type. 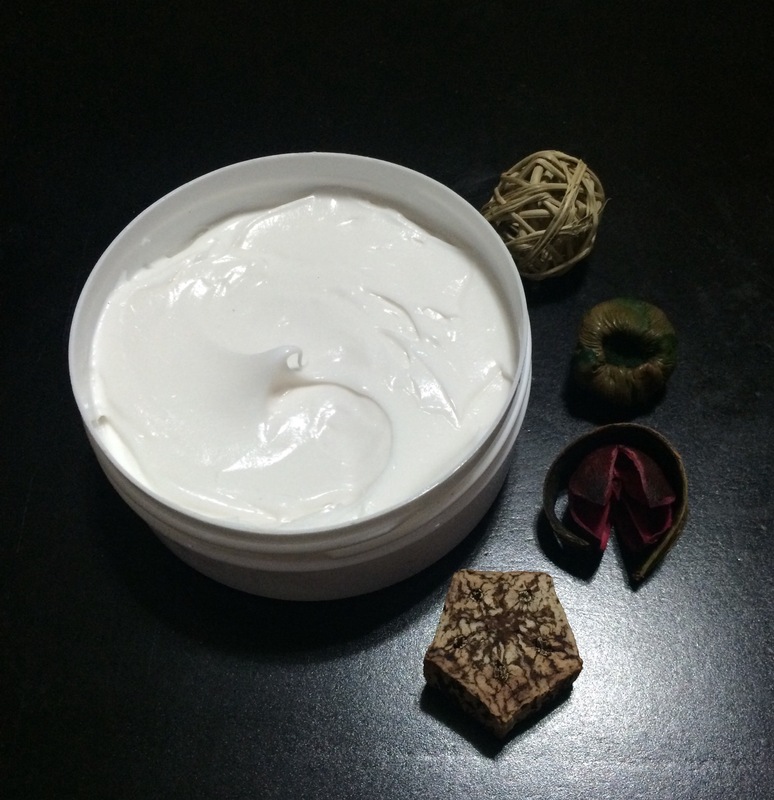 For skin that is extremely dry, we include Shea butter as well to keep the skin lubricated and moisturized for longer. 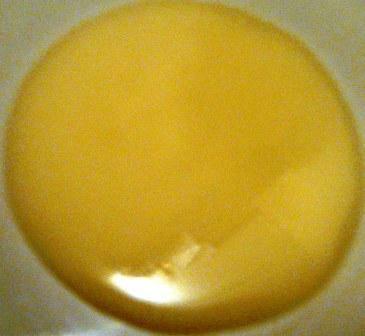 The color of the cream with Shea butter is not white as shown in the picture but cream-colored.